Tuam Education Centre is delighted to announce details of an exciting maths table quiz for 5th and 6th class primary school students. The quiz takes place in the Ard Rí House Hotel, Tuam at 9.30 am on Tuesday 10 November. Quiz master will be Mr Cammie Gallagher, former Maths teacher at St. Jarlaths College, Tuam and former Assistant National Co-ordinator for Project Maths. There are a few places for schools still available. If primary schools have not already registered and wish to take part in this innovative event please contact Ashling Kelly, Tuam Education Centre at 093 25877. Only one team of four children is allowed from each participating school. The Ard Rí Hotel, Tuam has sponsored a magnificent trophy for the winning school. Plaques will be also be presented to the winners on the day. 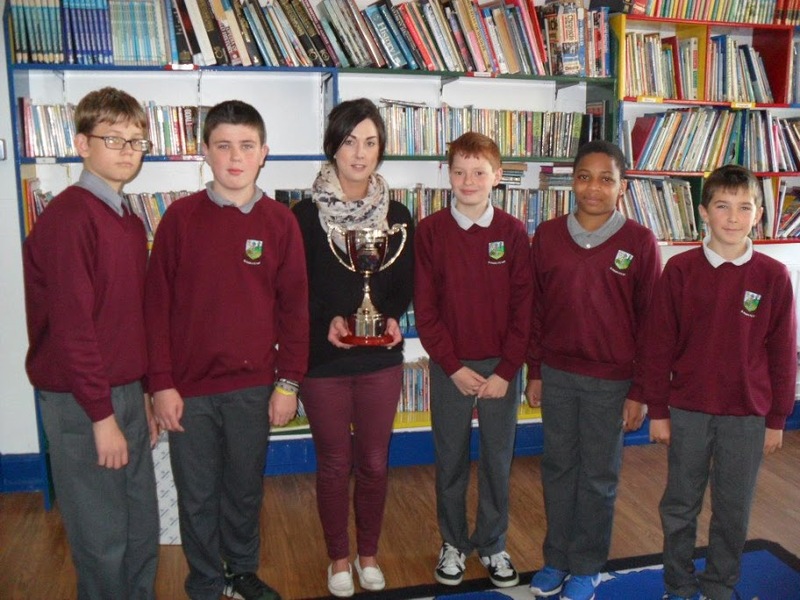 Pic shows Ashling Kelly, Administrator, Tuam Education Centre with students from St. Patrick’s Primary School at the launch of the competition.